It’s easy to overlook property maintenance for a number of reasons, including busy schedules and tight budgets. 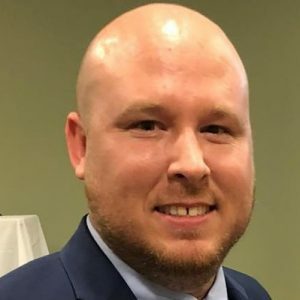 But it can also happen just because staff members are so familiar with the property that they don’t recognize slowly developing problems or hazards. With regular facility maintenance, you can avoid injuries to people, damage to your facility and costly insurance claims. Slips and falls, mold, HVAC failure and playground damage are just a few of the bad things that can happen when upkeep slips through the cracks. Potholes in the parking lot or disrepair of the sidewalk could lead to someone falling and injuring themselves. Failing to maintain the heating, ventilation, and cooling or electrical equipment could lead to a devastating fire. And clogged gutters, blocked drains or deteriorating roofs could lead to water penetrating the building and causing significant damage. To avoid these scenarios, establish a regular inspection and maintenance program for your school’s facilities, as the buildings will seldom improve with age. Be sure to plan and budget for regular maintenance and upkeep. When all is said and done, it is cheaper and easier to reroof a building than to deal with the disruption and expense of a water damage claim from a leaky roof. 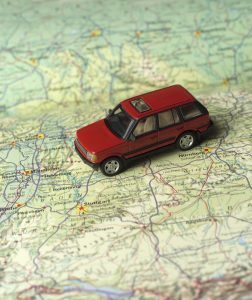 What coverages are available in an auto policy? You have many coverage options with your auto policy. Each coverage is priced separately and each are optional and must be requested by you. This coverage applies to injuries and damages that you or family members listed on the policy cause to someone else. You and family members listed on the policy are also covered when driving someone else’s car with their permission. This coverage pays for damage to your car resulting from a collision with another car, object or as a result of flipping over. It also covers damage caused by potholes. Collision coverage is generally sold with a deductible of $250 to $2,5000—the higher your deductible, the lower your premium. 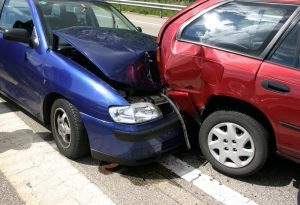 Even if you are at fault for the accident, your collision coverage will reimburse you for the costs of repairing your car, minus the deductible. If you’re not at fault, your insurance company may try to recover the amount they paid you from the other driver’s insurance company. If they are successful, you’ll also be reimbursed for the deductible. Comprehensive insurance is usually sold with a $100 to $500 deductible, though you may want to opt for a higher deductible as a way of lowering your premium. Comprehensive insurance will also reimburse you if your windshield is cracked or shattered. Some companies offer glass coverage without a deductible for windshield repairs but not replacements. Other optional coverages can be purchased for an additional premium. They include but are not limited to: towing and labor, rental reimbursement, additional installed equipment coverage, and GAP coverage. Small Business Saturday is an important day for business owners. Since the holiday’s debut in 2010, consumers have reported spending an estimated $85 billion at independent retailers and restaurants on this day (American Express Company). Held the Saturday after Thanksgiving, Small Business Saturday is strategically sandwiched between two other big shopping holidays: Black Friday and Cyber Monday. Together, the three days contribute to a boost in sales and traffic as consumers get a head start on holiday shopping. Use social media to show consumers what makes your business unique. If you’re offering special sales or promotions in honor of Small Business Saturday, showcase them in advance to generate excitement. PS: If you’re looking for ideas on how to optimize social media for your small business, you’ll find them – plus tips on managing your accounts – here. You’ll need all hands on deck! Create a holiday game plan for you and your employees so you’re fully staffed for busy events like Small Business Saturday. Review schedules and expectations with employees prior to the event, and stay up to date on overtime pay laws. If you are limited on employees, consider hiring temporary/seasonal staff. In some regions of the country, snow and ice could be on the ground. Clear snow and ice from your parking lot, sidewalks and entrances, and carefully remove any hanging icicles on the roof or overhangs. 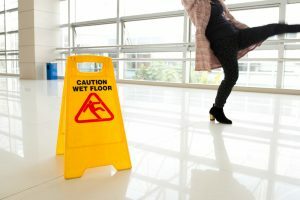 Here are some ways you can prevent slips and falls. Inside, keep your store’s walkways clear at all times, and establish a system to store products correctly and efficiently, out of the way of customers. Even though this is a day to sell a lot of inventory, your employees’ and customers’ safety is more important. With food, that is. If you are serving food or handing out samples, post a sign with all potential allergens. Also consider the way you are serving food. Please stick to using sanitary methods such as one time use cups, napkins, or toothpicks. As a reminder, food needs to stay the temperature it is supposed to be. Keep your cold foods cold and the hot foods hot. Reach out to us anytime text or voice 318-414-0003 to learn more. Insurance can seem intimidating when looking at it from the outside, and a lot of that has to do with the amount of jargon in the industry. Instead of leaving you on your own to guess what something means, we have gathered* a list of words to help you when looking at small business insurance policies. * The following definitions have been written by the National Association of Insurance Commissioners andInsurance Services Office Inc.
Actual Cash Value – In most cases it is the cost to repair or replace the damaged property, minus depreciation. Additional Insured – A person or organization not automatically included as an insured under an insurance policy who is included or added as an insured under the policy at the request of the named insured. Admitted/ Non-Admitted Insurance Company – An admitted company is an insurance company licensed or authorized to sell insurance in a given state. Non-admitted insurance companies do not have the protection afforded by the state’s guaranty association. Assessed Value – Estimated value for real or personal property established by a taxing entity. 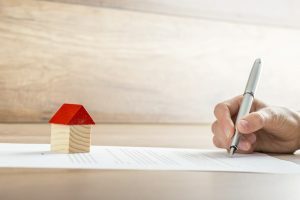 Blanket – A single limit of insurance that applies over more than one location or more than one category of property coverage, or both. Business Interruption Insurance – AKA Business Income Coverage. Covers loss of income suffered by a business when damage to its premises by a covered cause of loss causes a slowdown or suspension of its operations. Business Personal Property – Typically, property you own that is used in your business. 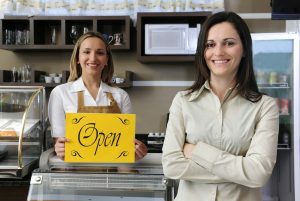 Business Owner’s Policy (BOP) – BOP stands for Business Owner’s Policy and is a policy providing both property and liability coverage for eligible small businesses. Certificate of Insurance – Proof of your insurance coverage. Commercial Package Policy – Provides a broad package of property and liability coverages for businesses other than those provided insurance through a Business Owner’s policy. Deductible – An amount the insurer will deduct from the loss before paying up to your policy limits. Depreciation – The decrease in the value of property over a period of time, usually as result of age or wear and tear from use. Directors and Officers Liability Insurance – A type of liability insurance covering directors and officers for claims made against them while serving on a board of directors and/or as an officer. Errors and Omissions Liability – Protects the insured against liability for committing an error or omission (negligence or mistake) in performance of professional duties. Hired and Non-Owned Auto Insurance Endorsement – Non-owned Auto Liability provides coverage for any auto that is not owned, borrowed or hired by the insured. Hired Auto Liability provides coverage for autos leased, hired or borrowed by the insured. This endorsement is typically not available to insureds who have a policy covering other commercial automobile exposures. Limit of Insurance – The most that will be paid by the insurer in the event of a covered loss under an insurance policy. Premium – The amount your business pays for insurance coverage. Professional Liability Insurance – Another name for errors and omissions insurance. Replacement Value – The cost to replace the damaged property with materials of like kind and quality, without any deduction for depreciation. Rider – This is an additional piece of coverage added onto a larger insurance policy. It may also be called an endorsement. Umbrella Insurance – A policy generally written over your primary liability policy which can serve the purpose of providing coverage when the limits under your primary policy are exhausted by the payment of claims or providing coverage where the primary policy leaves off or doesn’t cover. 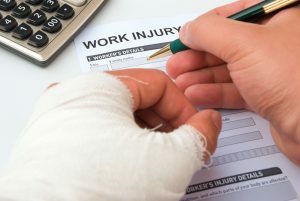 Workers’ Compensation Insurance – Insurance that covers an employer’s liability for injuries, disability or death to persons in their employment, without regard to fault, as prescribed by state or federal workers’ compensation laws and other statutes. Insurance doesn’t have to be complicated! If you are interested in requesting a quote, please visit our website. We are always here to help! Auto accidents unfortunately happen. If you are involved in one, here are a few tips. Stay calm so you can make sure everyone is ok and then call the necessary emergency services to tend to the accident. Next, try to get the name, driver’s license number, and insurance information from the driver of the other vehicle. As well as, contact information from passengers or anyone else involved in the accident, including witnesses. Be sure to report the accident as soon as you are able to your insurance company. You can report to our office or find your company’s contact info. Navigating the ever-changing world of technology can be daunting. Products, platforms, tools and upgrades seem to roll out daily, throwing a wrench in what we know about protecting ourselves from data breaches and other security concerns. With all of these updates, it’s easy to inadvertently let your cybersecurity guard down. If you’re guilty of any of the following five common security slipups (a lot of us are! ), Here are some solutions you need to remedy these risks. Creating simple or predictable passwords that are easy to remember, but also very easy for a machine to guess. Create long passwords. The more characters in the password, the harder it is for a machine to guess, that said, it has to be easy for you to remember. ‘Canarybasketmaker’ is better than ‘xkK74Tx’”. Do not choose a password based on personal information that could be accessed or guessed. Develop a mnemonic for remembering complex passwords. For example, Roy G. Biv is a mnemonic name for remembering the colors of the rainbow. Use passphrases when you can—they can be easier to remember without being predictable! Canarybasketmaker, noted above, is a good example of a passphrase. Use different passwords on different systems. While this is a hassle at times, it’s the best way to secure your networks. Choose and use the correct antivirus software . Continually update your security systems to protect your information from ransomware attacks. With ransomware starter kits increasing, it’s easier for criminals to attack small businesses, whose safeguards are often lower-tech than larger businesses. Not verifying hyperlinks in emails from unknown senders. They could link to malware, potentially leading to a surprise cyberattack. Verify URL destinations to confirm that the sites are legitimate. Use an encryption tool when sending emails to keep the information safe. Recipients will need a specific, unique code or a virtual key to unlock the encryption and view the message’s content. Know who “ owns ” the data within the cloud. Be aware on the type of cloud service you’re engaging and the different levels of access to review and audit the services and infrastructure. Know the trade-offs of the cloud which include latency and bandwidth concerns—the traffic must get to and from the cloud somehow—and the risks, like having to extend a certain amount of trust to the cloud provider, Roth says. Accidentally broadening your risk of attack by letting concerns slide because you think you’re overreacting. If something seems off or weird, it probably is. Watch for red flags and take them seriously. Know what normal looks like, so you can detect abnormal. For additional information on cybersecurity, review these tips and topics of concern from the United States Computer Emergency Readiness Team. When it comes to small business insurance, you don’t know what you don’t know — and that’s OK. One of the best pieces of advice I can give is: find a trustworthy agent to suggest insurance options that make the most sense for you and your business. At Reed Insurance, we want you to be satisfied and protected with your Business Owner’s Policy (BOP). To provide some clarity about small business insurance, and help you feel comfortable with your coverage, I’ve answered commonly asked questions about BOPs. A BOP bundles commonly selected property and liability coverages into one policy. These policies are designed for the insurance needs of small- to mid-sized companies. By creating a BOP bundle instead of trying to decipher multiple different polices, the process of purchasing insurance becomes much simpler. When looking for an insurance policy for my small business, what are the most important areas to consider? They provide all of the coverages that meet your business’s needs. They offer value added services such as 24/7 claims service. They update you on risk management tools. They offer good customer service support for policy changes, questions and bill payments. 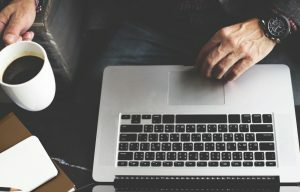 How do I know if I need additional coverage for my small business? The best place to start is with a local independent insurance agent. He or she can review your business operations to identify specific coverage needs and potential coverage gaps. How do I get the best discounts on my small business insurance? Implement and continue good risk management controls. Maintain your building(s), select higher deductibles, pay your premium annually, and bundle your coverages with one carrier. Once you have found the carrier who meets all your needs, stick with them. How often does my policy need to be updated? Taking on new business partners. Relocating or purchasing an additional location. Changing the types of goods or services you offer; or, if your sales increase or decrease significantly. The bottom line: When in doubt, call your insurance agent. Allow your agent to be your trusted advisor. Understanding your homeowners policy could be overwhelming. But it doesn’t have to be. Let me explain. For the purposes of this series we are focusing on the HO-3 since it is the most common. Click here to start a quote. You may call or text me at 318-336-5203. The homeowner’s policy is a package policy in which it will include 6 basic parts. We will talk generally about the what is included in each of these parts. This is coverage on your home itself. This is based on the Replacement Cost of that home. Replacement Cost is the cost to rebuild the home from the ground up. We use this value because is a loss occurs, we need to have a predetermined idea of the cost to repair or rebuild and not necessarily the cost to re-buy since market and construction costs can vary so much. Please note: many of our competitors will have a separate percentage deductible that is much higher that applies to wind or hail. A 2% deductible on wind on a home with a replacement cost of $250,000 equates to $5,000 deductible on any wind related claims, such as roof damage. You do not have to settle for this. There are better options out there that we can offer for probably no additional premium. The Dwelling limit is used to calculate the other coverage parts other than Liability and Medical Payments. This is coverage for detached structures such as sheds, pools, fences, ect. The coverage amount is automatically calculated at 10% of your dwelling limit. So if you have $250,000 on your home, then you will have $25,000 on your other structures automatically. This limit can be adjusted up or down with most carriers. It is subject to a deductible. This is coverage for your belongings. Think moveable items such as furniture, clothing, food, electronics, computers, jewelry, ect. The automatic coverage limit is 50% of your dwelling coverage. This amount can be changed. Typically, this coverage is based on Actual Cash Value. We sometimes say that the “evaluation basis” is Actual Cash Value. You need to watch out for this one. If your Personal Property is insured at Actual Cash Value (ACV) then any claims for personal property will be depreciate for age and wear and tear. Potentially this could significantly reduce a claim payment. Typically you do not have to settle for this option. Usually we can remedy this prior to a claim easily and inexpensively. All policies have internal lower limits for items such as: jewelry, computers, electronics, guns, collectibles, ect. This is coverage for additional living expense from being displaced from your home due to a covered loss. The coverage limit is 20%, it can be increase, and carries no deductible. This is coverage for bodily injury or property damage that you are legally liable for. Coverage limits usually start at $100,000 and you can typically select up to $500,000. You can purchase higher liability limits by purchasing an Umbrella Policy. The cost is usually minimal for these policies and will provide higher limits to other polices such as your auto liability policy. Coverage for medical bills for people injured at your location regardless of legal liability. This is a “no-fault” coverage. Typically purchased as a stand alone policy. Policy limits typically cap out at $250,000 on your home and $100,000 on your personal property. In some areas Excess Flood policies can be purchased to provide higher limits. Most flood damage claims are a result of excessive rain. The cost to rebuild or replace with like and kind at today’s cost. This does not apply depreciation to the evaluation. Replacement cost minus depreciation for wear and tear. This is less desirable than replacement cost. This refers to the list of perils or types of claims a policy will insure against. Open Perils or All Risk means it is covered unless there is a specific exclusion that limits coverage. Typical exclusions are meant to limit coverage for maintenance, wear and tear, and intentional acts. This also refers to the perils of a policy. In this case there is a specific list of perils that are insured against. Here is a checklist of items that typically have special limits or exclusions associated with them. While your home insurance does not have to be overly complicated, you still need a trusted adviser to help you make decisions. That’s where I come it. 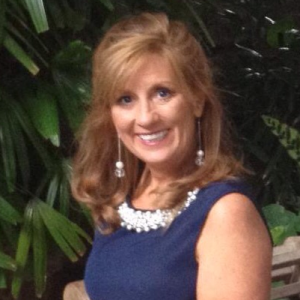 You can Click here to start a quote, you may also call or text me at 318-336-5203.